Travel agents? Who needs one when you have a smartphone? Planning a trip can be a pain, but it’s 2018 and you have all the necessary tools to make mapping out your vacation a breeze. 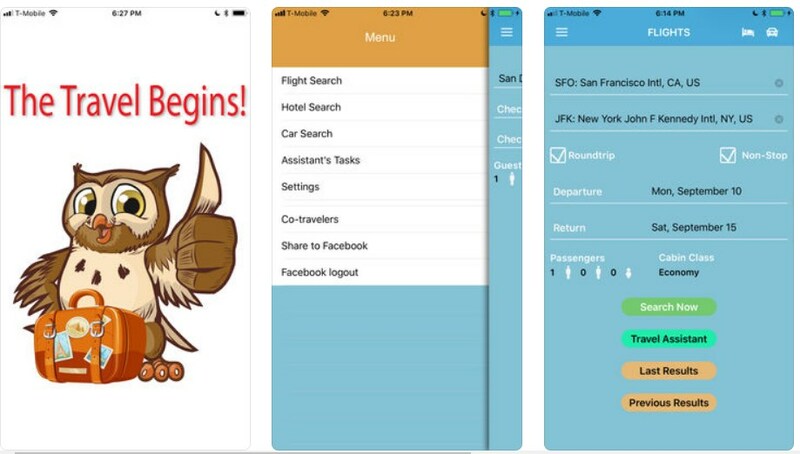 There are many travel apps out there that can save you time and even money, helping you plan your next trip directly from your phone. To make it easier, we did our research and we found one amazing travel assistant app that all travelers need to try for sure. Developed for Android and iOS users, Travel Owl is the most amazing travel assistant app for travelers that like to save time and effort, finding the best hotels, flights and rental cars and book what they like the most with just a tap on the travel assistant. Very easy for using, quite efficient and practical, this assistant will give at your reach dozens of travel aggregators and travel websites that will find for you wide selection of results instantly. All the information you need for your next trip will be offered to you with just a tap. The Travel Owl will save you a lot of time and effort, giving all the info you need at your reach, offering the most amazing features. With the filters and groups available, you can conveniently sort them to display the data so you navigate it easily. Results of flights can be grouped based on the carrier, departure time, arrival time. Hotel results can be also sorted depending on their price, stars, rating, or distance from the address the user enters as well for car results that can be filtered by the type of the car you like to find. Also, the app can serve you as your own intelligent travel agent that will search for information based on your needs and inform you instantly when the results are available for you. Also, assign a task to the assistant and log with your Facebook account to make free calls to fellow travelers on Facebook that already have the app installed. Download the app for free on Google Play and App Store to search based on your travel requirements and get results fast!